ConTechPro has provided several high-end vision solutions for quality inspection of products within the medical industry. A 12K line-scan camera is used to scan products with a resolution of 2500+ pixels per square mm. Within less than one second, 17.800 lines are scanned, producing a final image of 200+ MP. 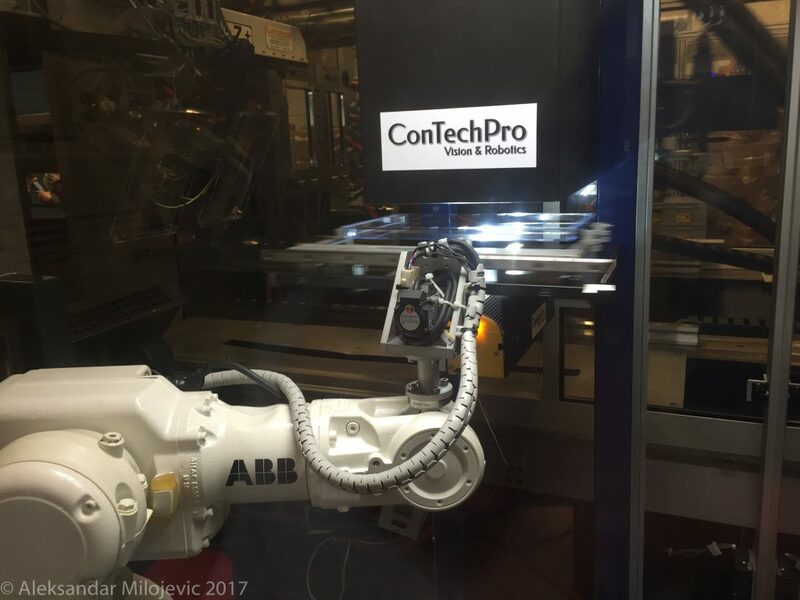 An ABB IRB-140 robot is used for handling the products during and after the scanning process. Defective products are immediately scrapped. Vision inspections, based on MVTec’s standard machine vision software Halcon, are securing that only products meeting the highest quality norms are approved. A customized version of our ctpFalcon software is used to execute the vision inspections and present the results visually.